The soil properties can be strongly affected by wildfires, causing direct effects on ecosystem productivity and sustainability. These effects depend, among other things, on the soil type and on the temperature reached during the fire. The variations of thermal properties of several Galizian soils heated in an oven in laboratory conditions at different temperatures (200–500 °C) during 15 min have been examined in this study. The measured properties are heat of combustion of soil organic matter, ignition temperature, specific heat and mass loss, determined using DSC 2920 TA Instruments and a TGA 7 Perkin Elmer under dry air gas flow. 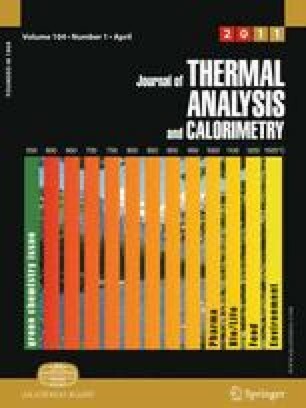 In agreement with other authors, this study establishes three temperature intervals with different effects on the soil: up to 200 °C, low intensity heating, with no significant changes in thermal properties; between 200 and 350 °C, medium intensity heating, with losses of organic matter up to 50%; and high intensity heating to temperature higher than 350 °C, with harmful effects on the soil organic matter. On the other hand and taking into account that the sampled soils had been affected by forest fires, the variations of thermal soil properties with the laboratory heating temperatures allowed for an estimation of the temperature reached by the soil in the real fire. Lu L, Qin Z, Zhao C, Li W, Gao M. Effects of vegetation indices to the spatial changes of desert environment using EOS/MODIS data: a case study of Sangong inland arid ecosystem. Proc SPIE. 2006. doi: 10.1117/12.689413.